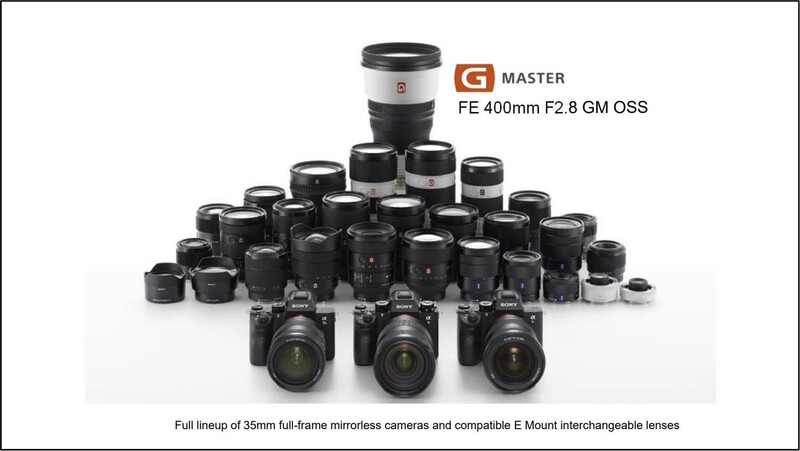 Sony has grown their imaging division substantially since they launched their mirrorless full frame cameras and they now have a very respectable 29 native E-mount full frame lenses to choose from. No one is going to have a mirrorless full frame camera system capable of matching Sony for at least a few years thanks to this lead and if you think adapted lenses will do then Sony could include their old Alpha SLT and Minolta lenses with Sony’s SLT adapter. FY18 Q1 sales were essentially flat year-on-year at 202.2 billion yen. Although insurance recoveries related to the Kumamoto Earthquakes were recorded in the same quarter of the previous fiscal year, sales of image sensors primarily for mobile devices increased. Operating income decreased 26.3 billion yen year-on-year to 29.1 billion yen. 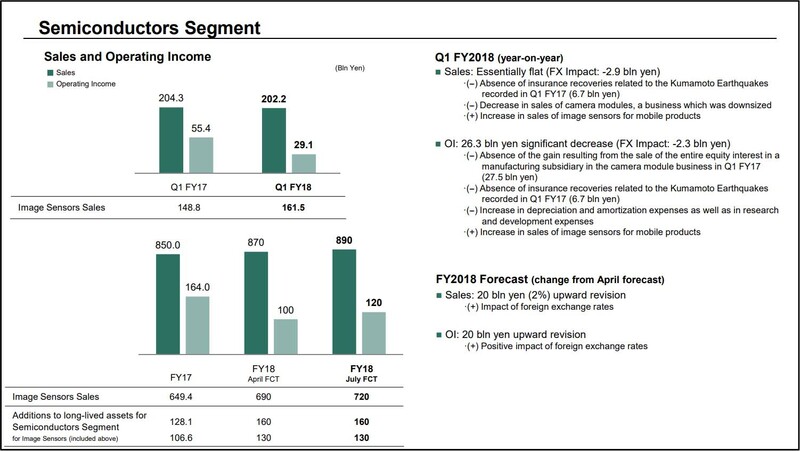 We have upwardly revised our FY18 sales forecast to 890 billion yen and operating income to 120 billion yen. This change is primarily due to the positive impact of foreign exchange rates. On July 23, we announced the release of an image sensor which has an ultracompact pixel size of 0.8 microns, making it possible to pack 48 effective megapixels into a 1/2-type unit. 0.8 micron is a world first, and 48 mega pixels is the highest pixel count in the industry. One of our strengths is our unparalleled ability to develop cutting-edge technology that also has a practical use, well ahead of our competitors. We aim to continue this advanced product development going forward.